Fine and beautiful Vacheron and Constantin platinum,diamond, and 14K white gold vintage Art Deco ladies wrist watch circa 1932. Refinished silver dial with black markings and blued steel hands. Rectangular platinum case flanked by diamond set circles. 14k white gold band. Overall length 6.75 inches. 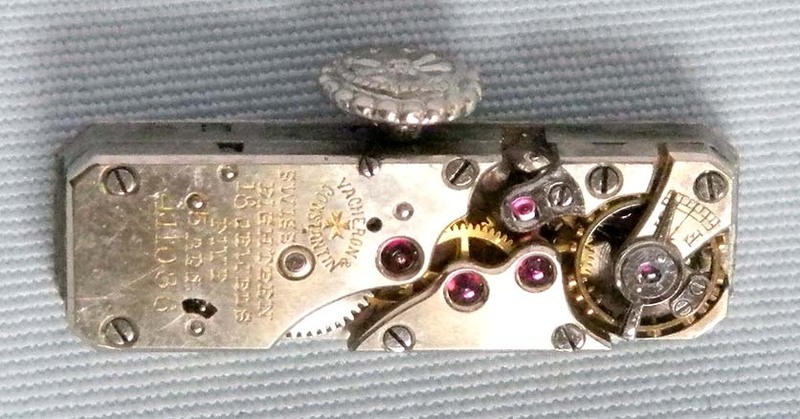 Fine nickel 18 jewel movement.